Why settle for a drab, concrete pool deck when you create a hardscape pool deck design that complements your style and outdoor entertaining space? When designing a new or remodeled pool deck, it is important to consider safety, style, and long-term maintenance. Create a functional and aesthetically pleasing pool deck that is built to last. Concrete pool decks are guaranteed to crack, regardless of how skilled the contractor is. Florida’s weather conditions cause the concrete to expand and contract, which stresses the concrete and eventually causes it to crack. While this may seem superficial, the cracks actually create a safety hazard, from stubbed toes to hard falls. Pavers are a great option because of their durability and versatility. Homeowners can select the paver type that matches their style and minimizes the risk of slipping. Certain pavers have abrasive additives, which creates a slip-resistant surface. Additionally, some pavers do not absorb heat as readily and lessen the prospect of burnt feet on a hot Florida day. Homeowners can style their pool deck to match their outdoor living space. Pavers come in different materials, shapes, and colors, allowing for high levels of customization. By experimenting with different tiling patterns, homeowners can delight their guests with a visual masterpiece. Homeowners can show off their pool deck designs year-round, not just during pool time. Pool decks are an excellent way to extend a home for outdoor entertainment. By simply adding tables and chairs, homeowners transform their pool deck into a patio-like area. One of the added benefits of hosting on a pool deck is that the pool lights lend a soft glow and ambiance for guests to enjoy, making it a truly memorable experience. 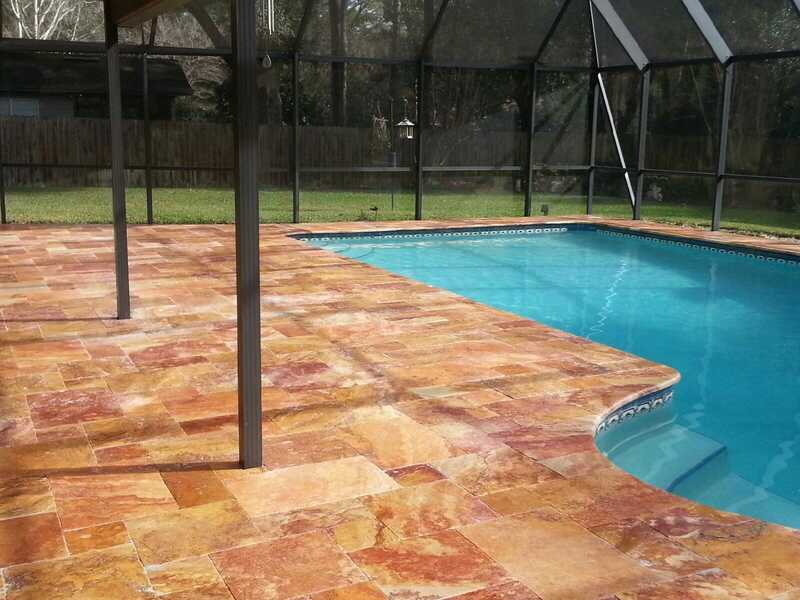 Unlike concrete pool decks which crack easily, pavers are built to last. 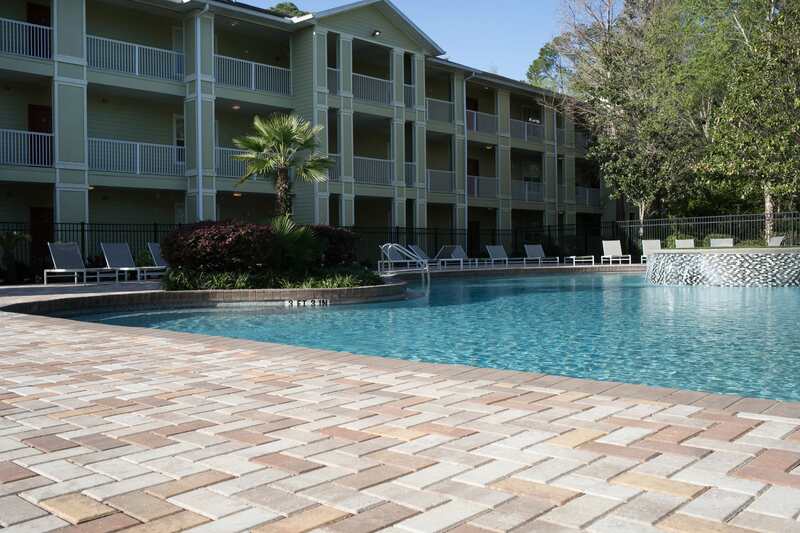 They can withstand heavy foot traffic and Florida’s harsh climate, reducing the need to actively maintain a hardscape pool deck. If cracks begin to appear, homeowners can simply replace the affected tile instead of replacing their concrete pool decks. Pavers are cheaper in the long run and increase the resale value of a home without the constant upkeep. Hiring experts to create and build a hardscape pool deck is an essential component in not only enjoying, but ensuring its durability. The hardscape professionals at FloridaScapes have over 20 years of experience designing beautiful pool decks. 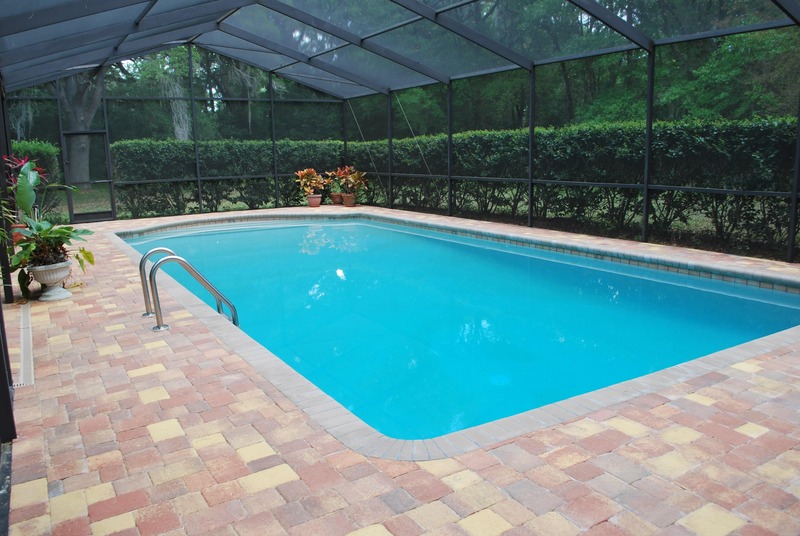 Whether you are looking to remodel or install a new pool deck, FloridaScapes can help. We will get to know you, your style, and your goals, and work with you to create the perfect pool deck that will help create lasting memories for you and your family. "Christa listened to my wife and designed the patio she was dreaming of. Matt and his crew efficiently took Christa's design and turned it into reality." Stephen R.